GSL students participated in the U.S. Army’s High School Challenge Wednesday, April 3. The challenge tests students’ physical and mental fortitude. 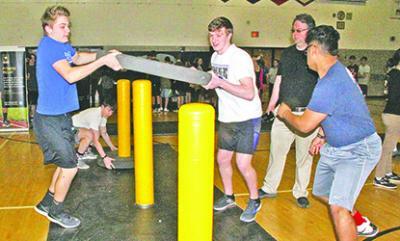 The quartet of Lucas Follestad, Preston Kleve, Tanner Novak, and Josh Essen raced the clock to stack donut-shaped pads in a specified order before advancing to an obstacle course.